The nature and dynamics of climate change in central Asia since the late Pleistocene are controversial. Moreover, most of the published studies focus mainly on the evolution of moisture conditions, and there have been few attempts to address changes in seasonality. 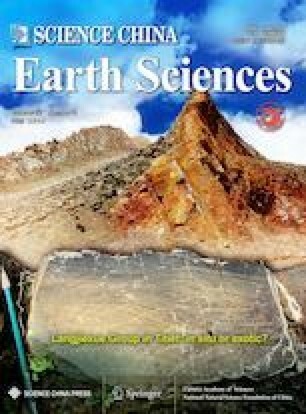 In this study, records of δ13Corg, TOC, TN, C/N and grain size were obtained from lacustrine sediments at Yili Basin, Xinjiang, NW China. Our aim was to reconstruct the trend in seasonality of precipitation from the last glaciation to the Holocene. The organic matter content of the sediments is derived predominantly from terrestrial plants. The δ13Corg values vary from -19.4% to -24.8%, indicating that the vegetation was dominated by C3 plants. Winter-spring precipitation is identified as the factor determining the relative proportions of C3 and C4 plants in the region. A negative trend in δ13Corg corresponding to an increase in the relative abundance of C3 plants indicate a trend of increasing winter-spring precipitation from the last glaciation to the Holocene. The increased incidence of wintertime storms in the interior of Asia is suggested to result in the increase of winterspring precipitation in the Holocene. Supplementary material is available for this article at https://doi.org/10.1007/s11430-018-9333-x and is accessible for authorized users. We thank Dr. Guilin Zhang for helpful discussions about the age model. This study was supported by the Strategic Priority Research Program of Chinese Academy of Sciences (Grant No. XDB26000000), the National Natural Science Foundation of China (Grant Nos. 41772371, 41572161 & 41730319), the National Basic Research Program of China (Grant No. 2015CB953803), the Youth Innovation Promotion Association CAS, and the Australian Nuclear Science and Technology Organization.